Who doesn’t like a nice cold and refreshing drink on a hot summers day. Ideally served along side some good food, (Bajan Fish Cakes anyone!?) and good friends, this rum punch fits the bill for any summer party. Especially a national holiday such as Canada Day! This Caribbean Rum Punch recipe is the drink of choice for many tourists visiting the island, and luckily is very easy to make! Bajan Rum punch is thirst quenching, and best of all so good! While it can be flavored with an endless combination of fruit juices to create unique flavors, it’s important to use a good quality rum to really set this Caribbean Rum Punch recipe above the rest. Mount Gay Eclipse or Mount Gay Extra Old are ideal, (and the traditional Barbadian choice!) and blend beautifully with the rest of the ingredients. Easy enough to remember isn’t it!? With only five ingredients this rum punch couldn’t be easier to mix up, and best of all, no special bartending skills are required! Some of the links in this post lead to affiliate sites through which Earth, Food, and Fire may earn a small commission (at no increased cost to you) should you make a purchase. This allows us to stay online and keep creating awesome content! For more info check the Affiliate Disclaimer. In regards to the bitters and spice, a dash or two of Angostura Bitters (affiliate) and a sprinkle of nutmeg are added to each glass. 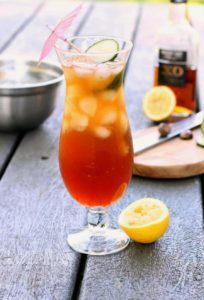 For a pop of color serve the Rum Punch in a pitcher and throw in some cucumber slices. Mixing up a batch of this tasty cocktail is quick and easy, perfect for a last minute party drink. Simply mix all the ingredients in a large jug or bowl, mix, and then chill for half an hour before serving to make sure it’s nice and cold.While the recipe calls for lemon or lime juice, feel free to experiment and use other citrus juices. Why not try fresh orange or grapefruit juice? This Bajan Rum Punch will last almost indefinitely in the fridge, but let’s be serious, you’ll be lucky if it lasts the day! Be warned this rum punch goes down very easy and can pack a nasty punch if you drink to much! Before you know it, you’ll be face down in the sand! Serve with plenty of ice, and as always drink responsibly and have fun! 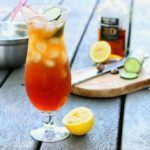 The perfect (and easy to make) party drink, this traditional Bajan rum punch is perfectly suited to any occasion! 1 cup cup Water Susbstitute various fruit juices to create flavored rum punch variations! Simply mix all the ingredients in a large jug, mix, and then chill for half an hour before serving to make sure it's nice and cold. Try this recipe with any freshly squeezed citrus juice, just be sure to use a good quality rum! 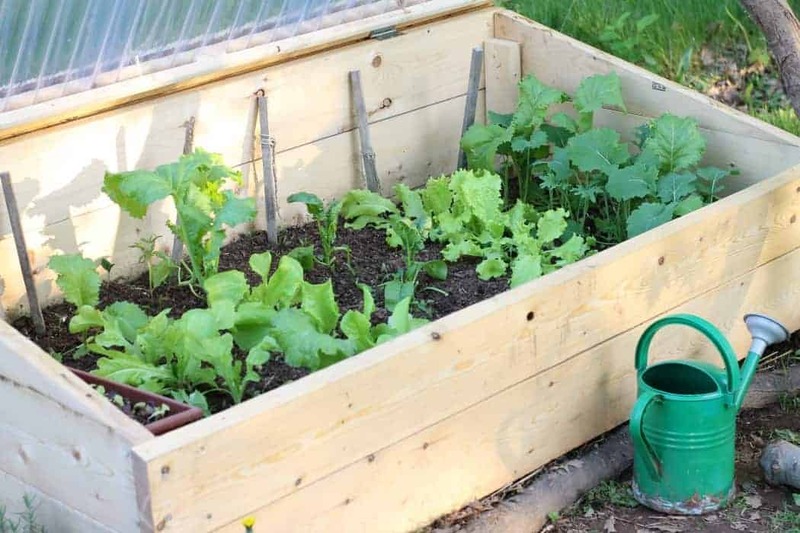 Some of the links in this post lead to affiliate sites through which Earth, Food, and Fire may earn a small commission (at no increased cost to you) should you make a purchase. This allows us to stay online and keep creating awesome content! For more info check the Affiliate Disclaimer. All advice, and opinions are based on observations in my own garden. If I end up face down in the sand – may it be in Barbados! Thanks for the recipe! 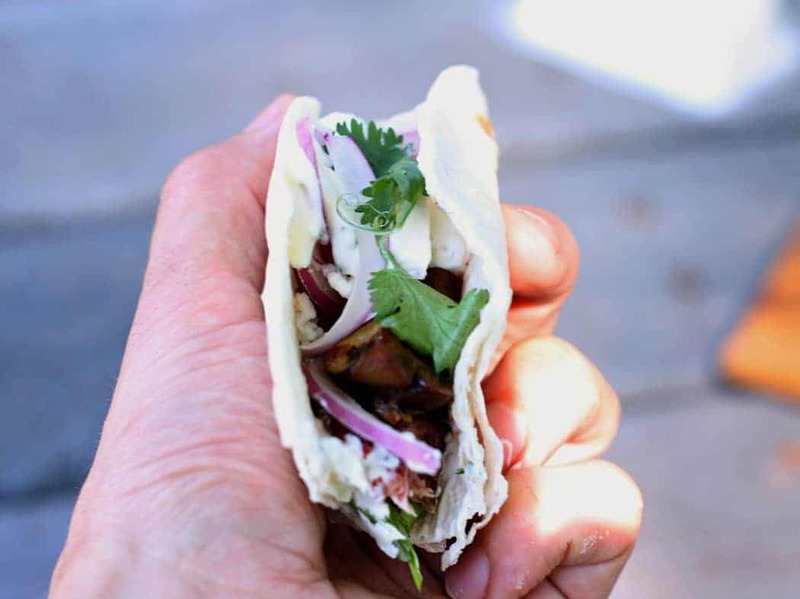 The patio is calling! Perfect for my upcoming holiday stay-cation. Can’t wait to try it. I’m sure you’ll love it! Enjoy the Stay-cation! This sounds just about perfect right now. 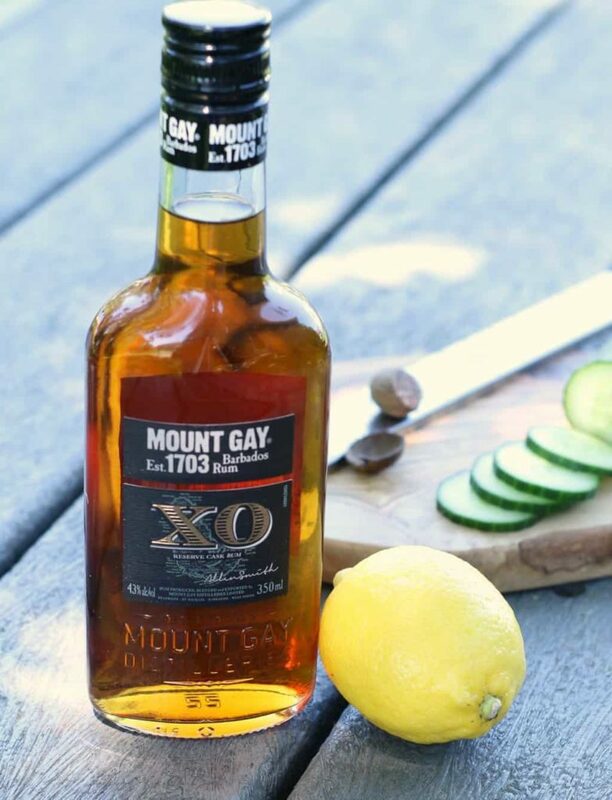 I don’t have any rum of course (figures), but I’ve been seeing Mount Gay around a lot lately and it had already piqued my curiosity before today… doubly so now of course! The touch of nutmeg is really intriguing. I can picture that along with the rum and the brown sugar and I’m reallllly into the idea. Wonderful stuff! It is really so good Sean! Easy to forget you’re drinking rum!